JewelBox is a monthly jewelry subscription where for $10 a month you will receive one piece of handmade jewelry. When you sign up you fill out an online form with questions about your coloring, style and favorite fashion items. This month I was so disappointed I ended up canceling my subscription. Instead of jewelry, I received a keychain. 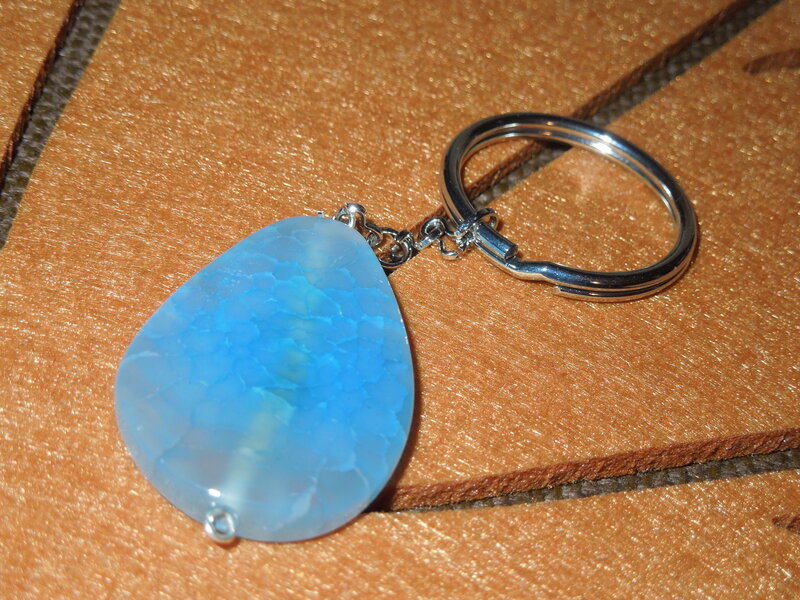 It’s got a fairly large stone attached to a run of the mill keychain. First, this is supposed to be a “jewelry” subscription. A keychain is not jewelry. Second, while $10 isn’t much, it’s more than I’d spend on a keychain. Now, the stone attached is pretty and I may end up taking this apart and using it to make something else for myself, but I felt like this was a huge cop-out so while I usually give my subscriptions an extra chance after a truly disappointing box, I felt that this one was warranted. So what do you think? Is a keychain jewelry for your keys? Should I have given jewelbox another month?